Richard's Ramblings » Post Topic » A Bolton, a Bolton! The White Hawk! 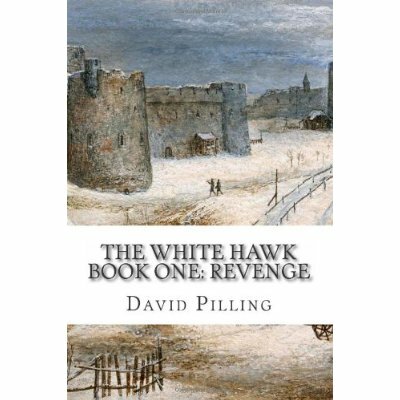 Today I welcome David Pilling for a guest post. This period, with its murderous dynastic feuding between the rival Houses of York and Lancaster, is perhaps the most fascinating of the entire medieval period inEngland. Having lost the Hundred Years War, the English nobility turned on each other in a bitter struggle for the crown, resulting in a spate of beheadings, battles, murders and Gangland-style politics that lasted some thirty years. “Lord Clifford sat his horse on the north bank of the River Aire and watched the glittering mass of the Yorkist vanguard march into view from the south. It was a bitterly cold afternoon, with a hint of ice on the wind. Clifford took no notice. He was the lord of Skipton and Craven inYorkshire, and the atrocious weather and desolate landscape of the north appealed to his stark nature. This was his country. “The Butcher”, the Yorkists had started to call him, for his cold-blooded killing of Edmund of Rutland after the Battle of Wakefield. Clifford gloried in the name. The more his enemies feared him, the better. He was a hard man, consumed by a lust for revenge since the death of his father at the First Battle of Saint Albans, six years previously. Clifford had slaked his thirst for Yorkist blood somewhat onRutland, and still felt a tight little shiver of pleasure at the memory of his knife plunging into the boy’s soft white gullet. One death, however, wasn’t enough. Only the bloody annihilation of all the Yorkists inEnglandwould suffice. “Fauconberg’s men are in the van, as we suspected,” said Lord Neville, his second-in-command, pointing at one of the enormous standards carried at the head of the Yorkist troops, displaying blue and white halves painted with Fauconberg’s distinctive sigil of a sable fish-hook in the top right corner. Clifford said nothing. He had already repelled an attempt by the Earl of Warwick and Lord Fitzwalter to cross the stone bridge over the Aire, falling on the Yorkist camp at dawn and slaughtering many soldiers in their beds. More had died as they tried to escape across the river, drowned or swept away in the icy waters. Lord Fitzwalter had been mortally wounded, and Warwick himself barely escaped with an arrow in his thigh.